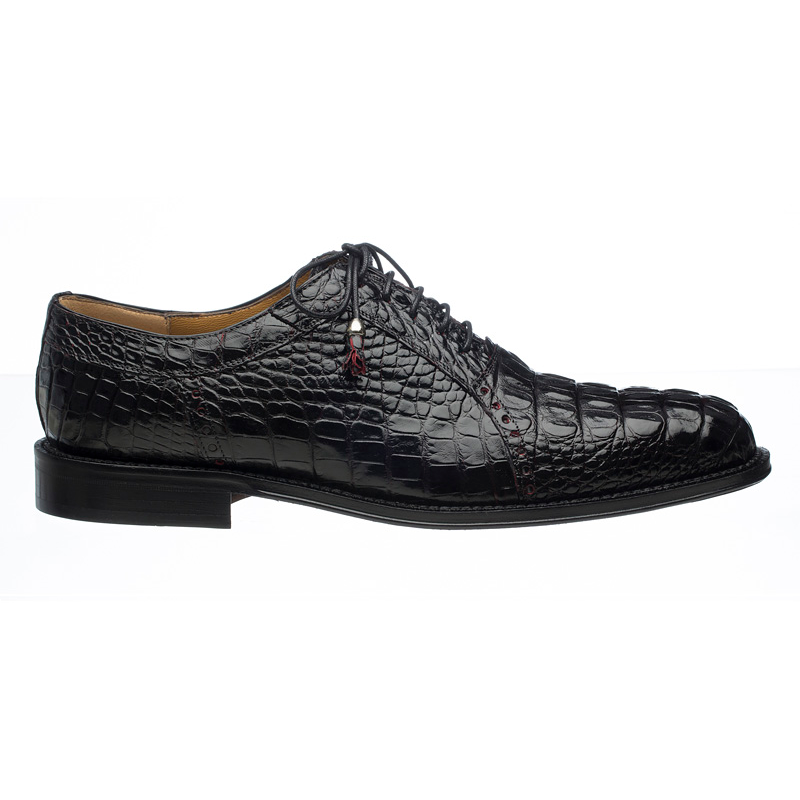 Stunning genuine hornback alligator skin oxford style dress shoes. 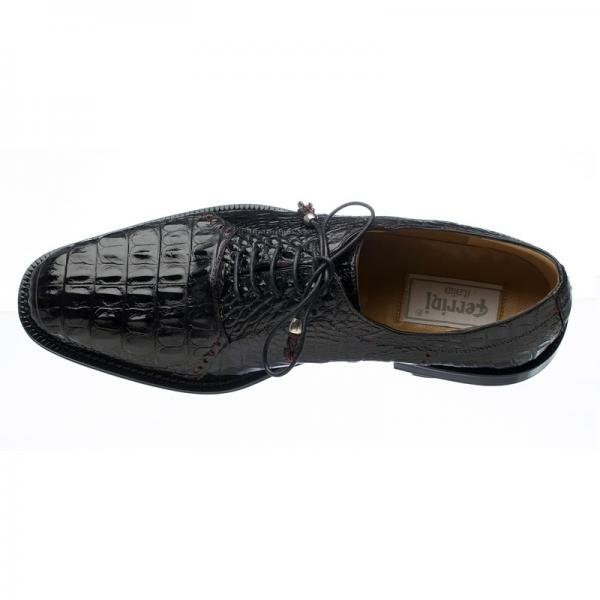 Featuring brogue detailing and a leather sole with 1'' heel, and tasseled laces. Made in Spain.